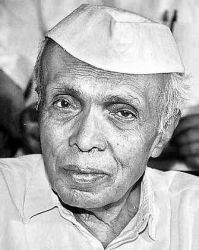 Dr. H. Narasimhaiah (1921-2005) was a great champion of humanism and atheism and India as vice chancellor of Bangalore University. He created history by appointing a university commission to investigate superstitions. He was forced to resign from the Vice Chancellorship for that reason. A great Gandhian and Humanist, he led a very simple life and a source of inspiration to many others. He inaugurated the World Humanist congress in Mumbai in 1999.